From the team behind Victory Sandwich Bar, S.O.S. 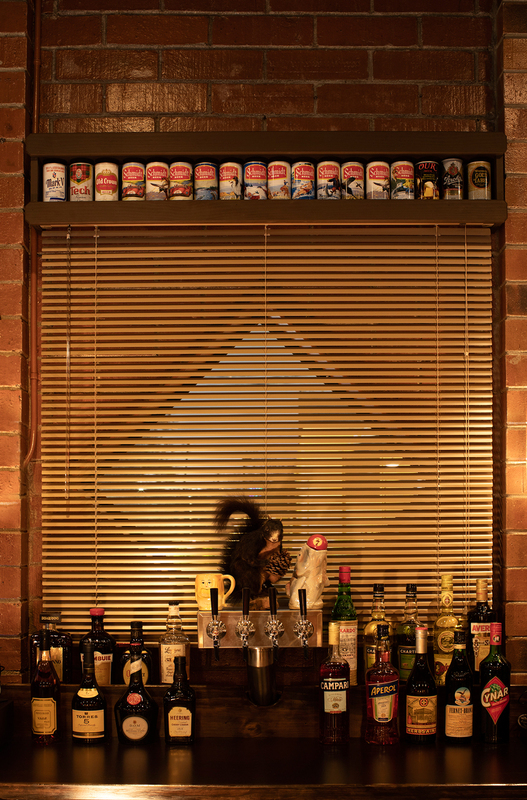 Tiki Bar, and Little Trouble comes LLoyd’s—a new restaurant and bar that wants to buck the trends and go back to basics. Opening tomorrow in a former warehouse at 900 DeKalb Avenue in Inman Park, LLoyd’s (both L’s are capitalized) will serve dinner daily, as well as weekend brunch and late-night eats. 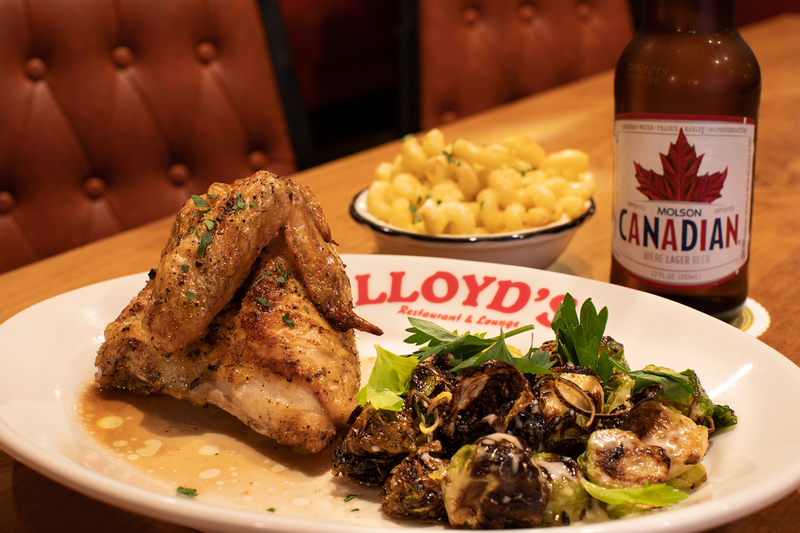 The no-frills, no-reservations establishment touts itself as “your grandpa’s bar.” There’s no drink menu (but there is a full bar—just ask for what you’d like), and the entrees are served meat-and-two-style. Bottled beer ranges from Bud to Shiner Bock. We spoke with owner Ian Jones, who’s also been busy with S.O.S. Tiki’s annual holiday pop-up, for more details. Where did the name LLoyd’s come from? It evolved from a previous concept that we scrapped. 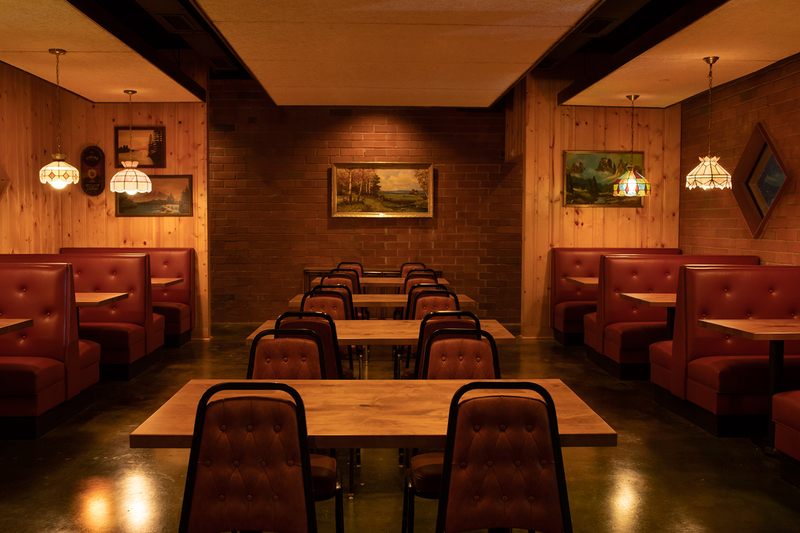 We were going to do a bar that looked like the bar from The Shining, but we realized it made the concept too fancy. 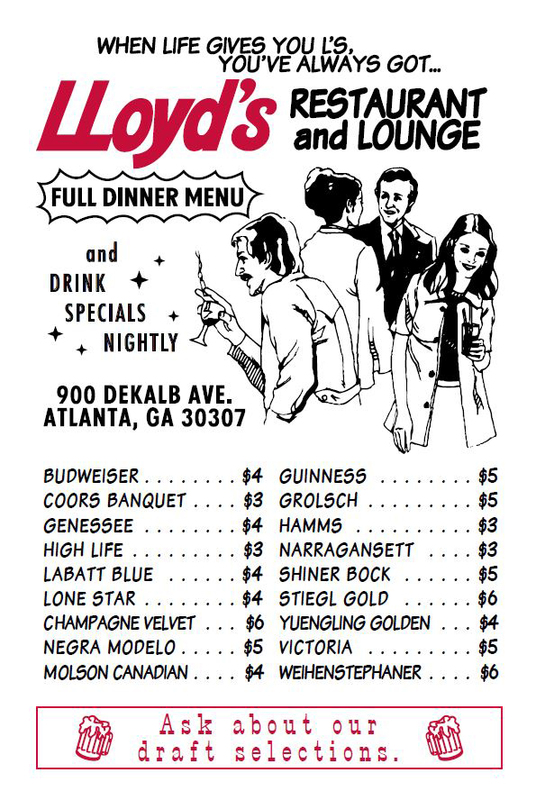 The bartender from The Shining is named Lloyd. 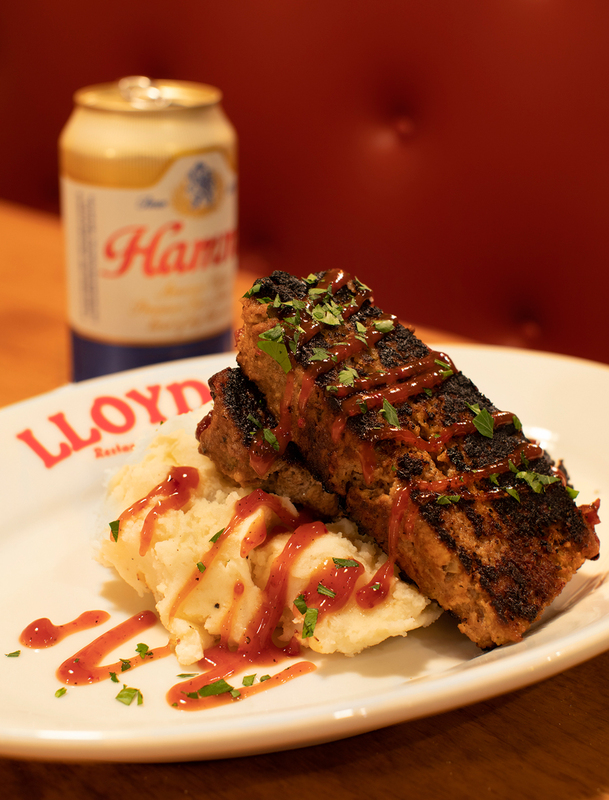 Meatloaf comes with all-you-can-eat mashed potatoes. Who will be in the kitchen? Chef James Kitchens. He came from Lure. He’s making killer supper club and bar food, like great double patty burgers, fried bologna sandwiches, wedge salads, and meatloaf with all-you-can-eat mashed potatoes. Our entrees are blue plates. You can choose from three proteins: land, sea, and air. We’re starting with hanger steak, mahi mahi filet, and roasted chicken. You pick a protein and two sides. Everything is pick it yourself. We’re a younger, tighter version of the Colonnade. The sides are mashed potatoes, fries, mac n’ cheese, braised chard, and Brussels sprouts. We’ll keep the sides flexible and shift with proteins and some “out there” game meats. Dessert is all pie. Brunch will be fairly standard brunch fair, as well as sandwiches and a bologna Benedict. We’re the anti. We have great drinks, but we don’t have a drink menu or kitschy goofball names for our drinks. 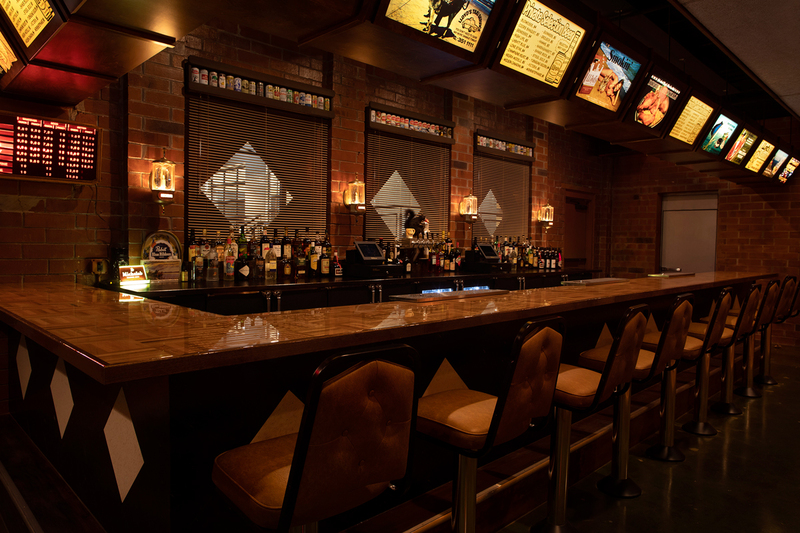 This is like your grandpa’s bar, a “bar” bar. We can make you a sidecar or an old fashioned or a Manhattan or even a stinger. We can make you a seven and seven for all we care. It’s how bars used to be. This is an escape from the hoity-toity business. We’ll have large martinis with sidecar of leftover martini to pour in. There’s a rotating selection of draft beer like Anchor Steam and Green Bench IPA served in cold mugs. It’s mostly by the bottle: Coors, Labatt Blue, Shiner Bock, and Molson. For wine, it’s a quintessential selection skewing toward French and Italian. There are seven to nine by the glass. What inspired the rustic decor? It’s like a Milwaukee basement, or your grandpa’s basement circa 1977. It seats 100 people including the bar. A patio is coming in the spring. We’re working on small coffee concept to launch in the next month or two. It’s called DeKalb Athletic Club. It’s based on how DeKalb Avenue is an obstacle course of its own. It’s a riff of a playful view on a sporting aesthetic that will come out in the decor with felt pennants, leather sofas, vintage gym ladders, and fun branding apparel. We might start a running club out of it. It’s basically a kiosk in the same development with LLoyd’s with very little seating. We’ll have coffee from Radio Roasters in Avondale Estates and some Cuban-style drinks like Cafe Bustelo café con leche. There’s no food planned as of now.